We’ve spotted these little guys in a few different places and we’ve noticed that the little sea urchin has snuck it’s way back into coastal design lately. 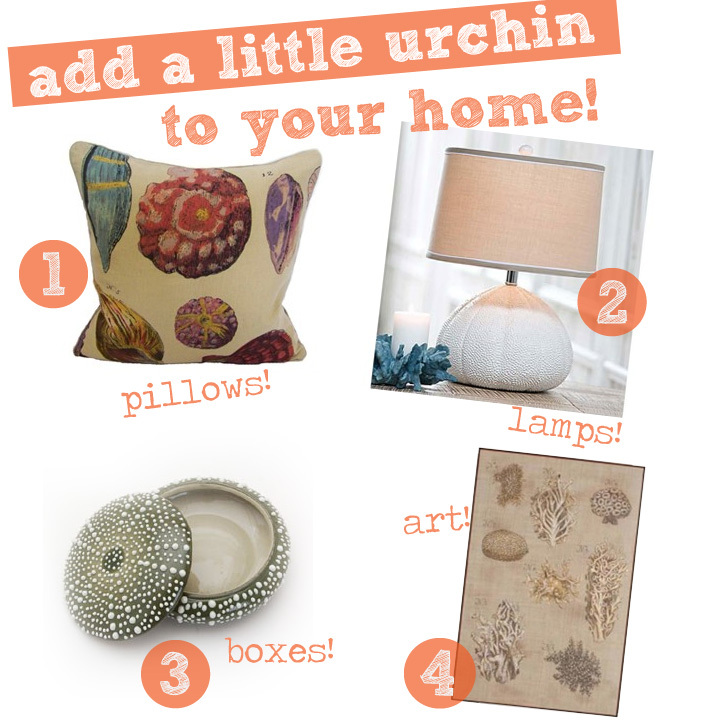 The sea urchin is a classic tide pool find that has been in coastal and beach decor forever. Usually showing up in it’s natural form as a shell, but it’s been known to appear on pillows and in art and various other places. 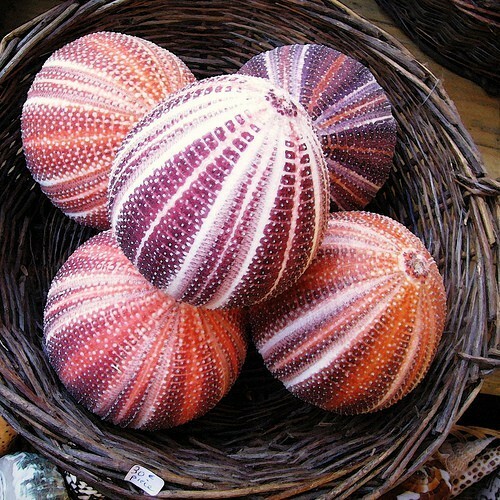 The great part of sea urchin shells is that they come in a variety of colors! 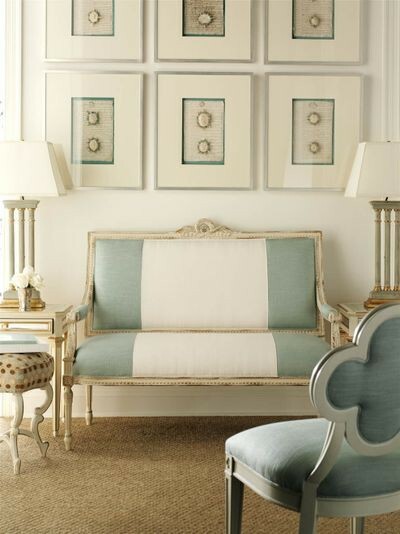 Perfect to match your color scheme or to add a little pop of color. 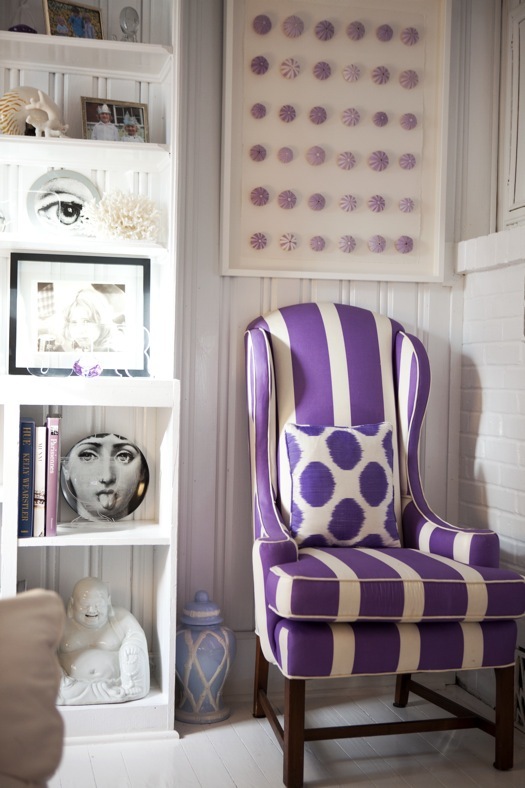 That room with the purple chair is gorgeous. 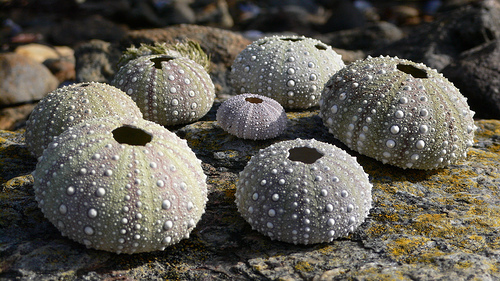 Just picked up my first urchin-themed tealight holder! Such a cute trend. Yay! Can’t wait to see it! 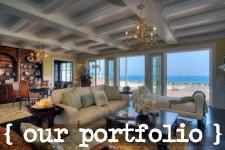 We’ll be checking your blog for sure. Urchins are so precious. Had never seen that colour before. Just lovely!